The George Hotel in Yarmouth on the Isle of Wight. Perfect for team building, meetings and events in a wonderful seaside location. 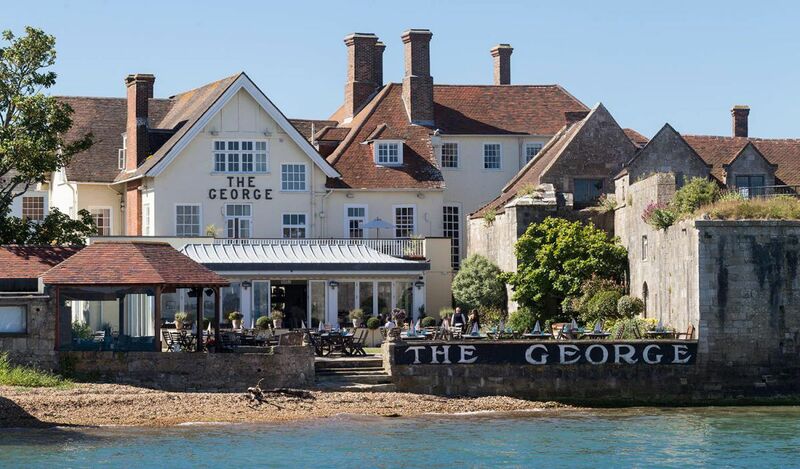 The George Hotel is a gracious 17th century town house enjoying a wonderful waters edge location between the castle and pier in the bustling harbour town of Yarmouth on the Isle of Wight. 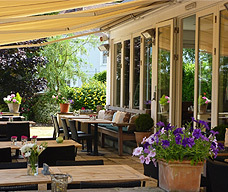 The restaurant is one of the most popular corporate venues during the summer months with a superb sea view restaurant and conservatory or some Alfresco dining in the gardens, right on the waters edge. 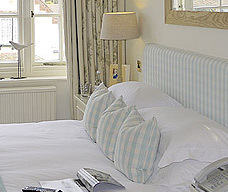 The 17 bedrooms at The George are all individually designed giving an environment of warmth and relaxing atmosphere. 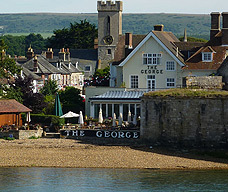 And if you are looking for a wonderful lunch location for your corporate sailing event then The George is a really wonderful option. Incredible food and seaside setting.